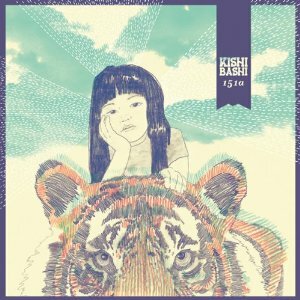 Kishi Bashi is the nom de chanteur of K. Ishibashi, a singer, multi-instrumentalist (predominantly violin) and songwriter hailing from Virginia. His magical fingers and rosined bow have toured with the likes of Regina Spektor, Alexi Murdoch, and of Montreal (of whom he is a current member). His first EP Room for Dream, features a duet with Kevin Barnes and is only available digitally from iTunes, Bandcamp, or a friend with really good antivirus software. For those that have yet to hear of him, this pedigree certainly illustrates where his first full length album falls in the indie spectrum-beautiful arrangements, sly lyrics, and definitively avant garde. “Bright Whites” has a chorus sung in Japanese, rhythm clipping along at a zippy pace, together with hand clapping, and harmonies aplenty to keep us up and dancing. More hand clapping on “It All Began With A Burst,” along with the sweet violin and a repeating chorus replete with “Aiieeiis.” The requisite epic rock ballad “Atticus, In the Desert,” is a sweetly arranged song, complete with lush strings, haunting pauses, wistful lyrics, and whistling. The sound is eclectic and harmonious, yet we sense there is still growth to come.